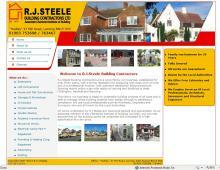 RJ Steele is a family run business established for over thirty years providing building services in West Sussex. The highly established building contractors in Lancing serve the local areas working mainly in a ten mile radius from Lancing and Woking covering all the local areas. These builders in Worthing and Lancing, West Sussex can take on projects of all sizes managing the projects from design stages to completion. RJ Steele uses only fully professional tradesmen in all areas of the business. RJ Steele has years of experience in the building industry always working to high standards to ensure projects are completed in a timely and professional manner. The building work they undertake is insurance backed and has a 5 - 10 year guarantee.